Greater pleasure for coffee time! Do they love coffee, tea or other hot beverages? 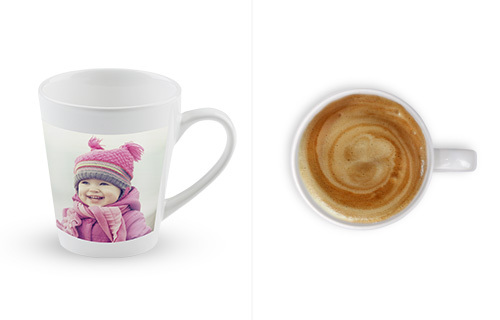 With our Latté Mug, they can enjoy their favourite drinks easily and tastefully! 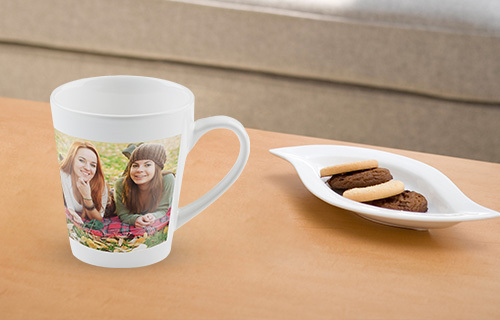 The 320ml mug has an unusual conical shape and is personalised with a photo image of your choice. Design a few for your home and create your own design series. Guaranteed to impress your visitors!